Come enjoy an active adult lifestyle in The Villa Toscana! Sparks' premier 55+ community offers swimming, bocce ball, exercise and crafting classes and so much more. Gated for your safety and peacefulness, too. 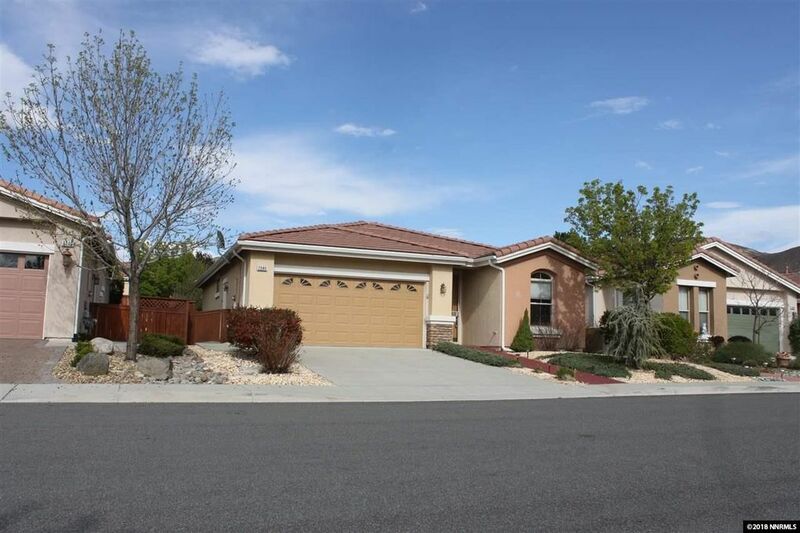 This home offers 2 bedrooms, 2 full baths and a large, but low-maintenance back yard. Kitchen offers a center island, pantry and stainless-steel appliances, including the refrigerator. The laundry room has storage cabinets, and so does the garage. Lots of mature landscaping. Come take a look!